So we are creeping up on our one-year anniversary of the purchase of our first home! I do not know where the time has gone. I would really appreciate it if it could stop now. Before my kids go off to college tomorrow. We really really love our house, but since Marzipan arrived, we haven’t been able to make many large-scale changes ’round these parts. We tackled the guest bathroom a few months ago, and we’re just about finished with Mara’s room (reveal very soon! ), and in the meantime, we’ve just been moving things around and trying different furniture in different spots to see how things feel. One of the changes that I’m VERY SKILLED at doing is buying all things relating to home decor. Can I just be a professional buyer? 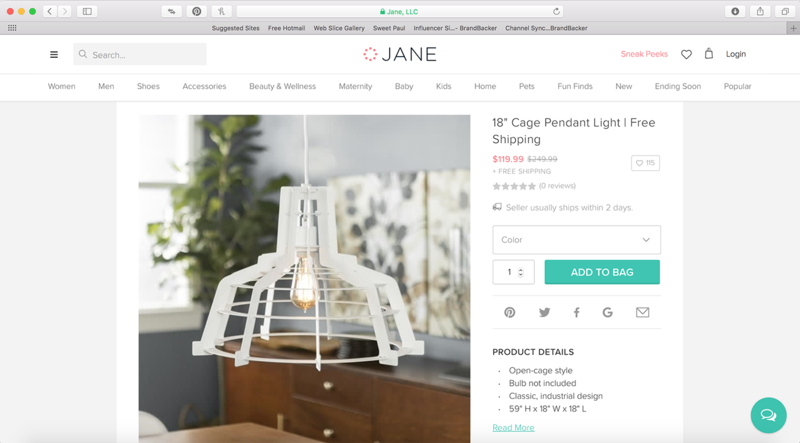 A few years ago, some friends introduced me to Jane.com and every so often, I go on a shopping binge and scroll the app nightly in bed looking for deals on home goods! I’m not even joking. There has been many-a-night that I’ve sat in bed around 1am scrolling for deals on holiday-themed decor! 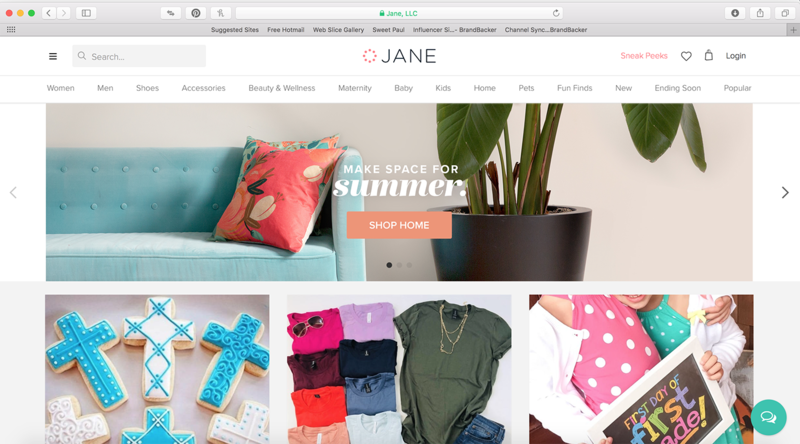 If you’re unfamiliar with Jane, it’s a boutique marketplace that sells everything from women’s fashion to home decor to kid apparel to kitchen items. (I’m not joking when I say their holiday-themed tee shirt game is STRONG. I picked up a tee last Halloween that said, “WITCH BETTER HAVE MY CANDY”. It was perfect.) The catch is that the inventory changes daily with new sales going live each morning. Each item is listed at a discounted price for a limited time. Once the sale ends, you basically hope and pray that the item you were eyeing will come back eventually. Which I have seen happen only a handful of times. Like a unicorn. And you’re kicking yourself for not pulling the trigger in the first place! Seriously, this happens to me a LOT. 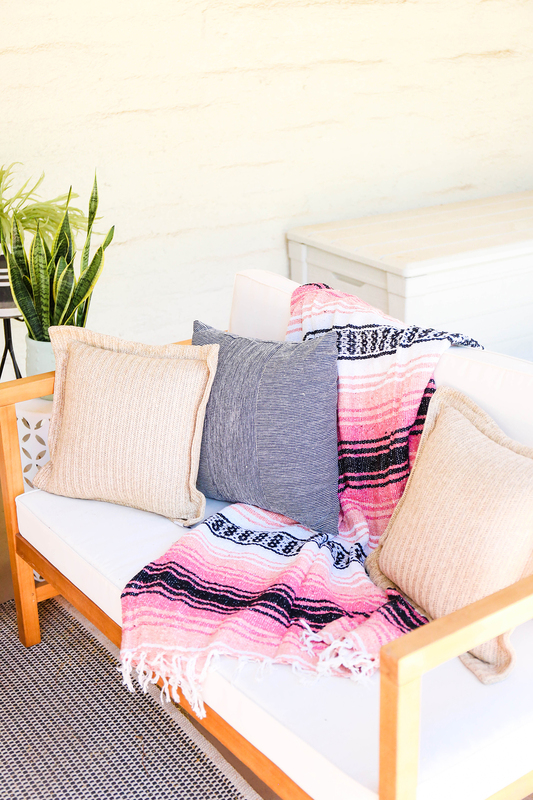 Jane recently upped their home decor game and there are some items that I’ve picked up for our house that I totally love! They’re already pretty affordable, but the fact that they went on sale for an even lower price? I had to get them. 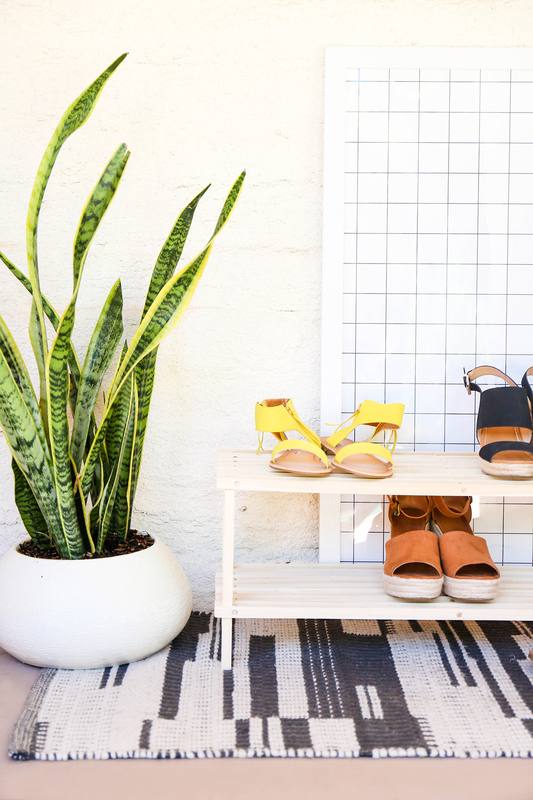 There are TONS of home decor items up for grabs. The selection has even been added to in the small amount of time between when I took these photos of the site and today’s post! Someone get this pendant light, mmmkay? If we didn’t just update ours, I’d be buying this guy so fast! I’ve been in the process of gutting my closet. There’s no way I can weed it down to a capsule wardrobe, but I AM trying to be more thoughtful about what I keep and where I keep it. 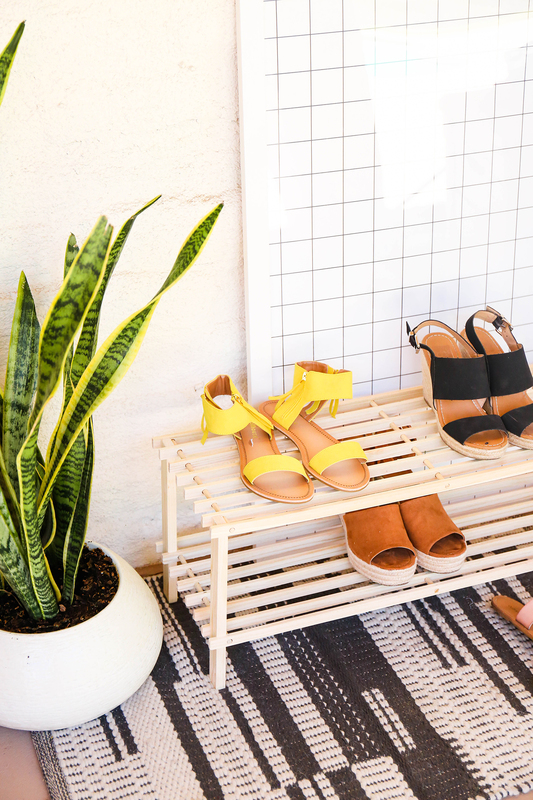 I snagged this Natural Wood 2-Tier Shoe Rack and it’s kind of been the prettiest thing that I can rotate my daily footwear on. I picked up an extra for Logan and the man has all his dress shoes lined up in orderly fashion! It came together in under five minutes. (Seriously. No screws or tool required!) And I love the unfinished look! These also make great little magazine racks, plant stands, or mini bookshelves. So it’s a definite sale that I would tell you to keep your eyes open for! 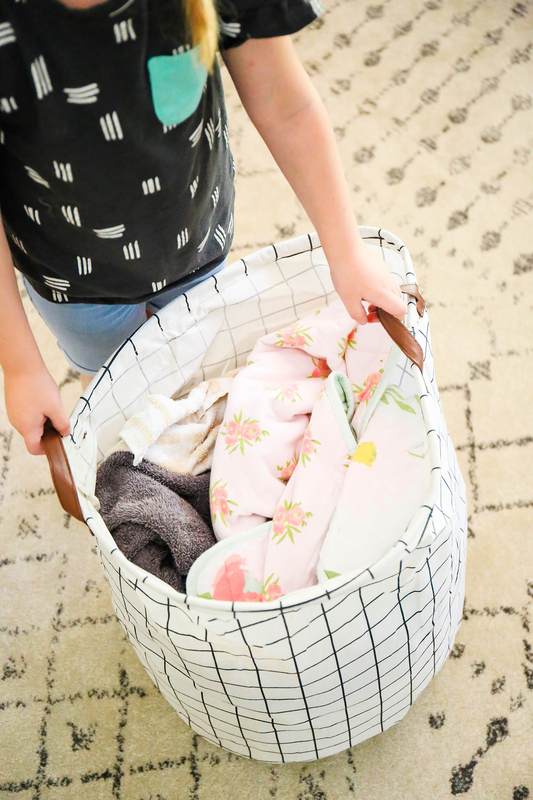 These multi-use fabric bins have honestly saved my life on laundry day (which is basically everyday!). They’re light and collapsible, but can totally be filled to the brim with all those clothes my kids wear for .2 seconds. I have actually been wanting some bins like these for a long time, but just never happened to buy some. When they went on sale, I snagged four of them in a variety of patterns to work within our home! I use them as laundry baskets in the kids’ rooms, and they also store things like the larger blankets that don’t fit in my linen closet. And when they aren’t in use, they collapse so flat and are easy to store! But isn’t that grid pattern just so great? Wait until you see how it looks in Mara’s room! One of those bonus purchases that I just feel the need to share here right quick? I’m the crazy woman that always lines her cookie sheets with parchment paper. We go through A LOT of that. But I just picked up some silicone mats from this baking mat blowout and I’m excited to save a tree or two! 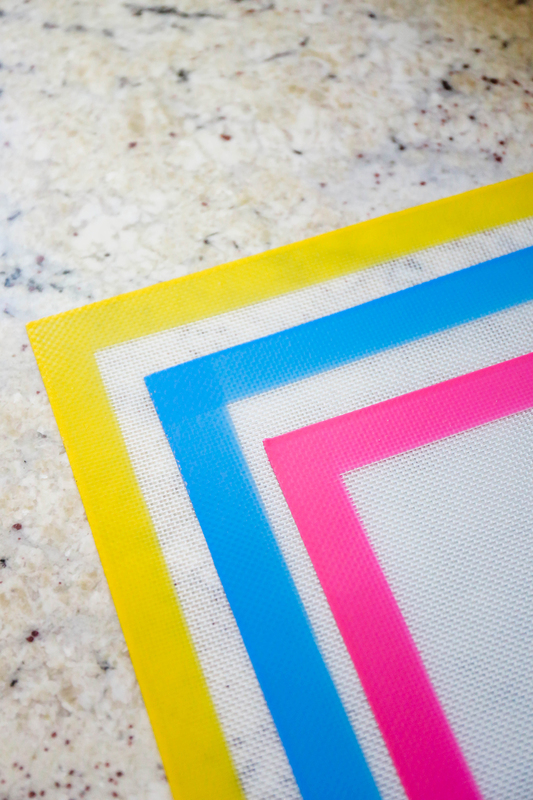 Silicone mats aren’t cheap, so I was sure to snag a few for those baking sprees I’m known to go on. Also, Vita was totally excited when these arrived in the mail. She thinks they are her baking mats! But I’ll totally let that girl cook and bake for me. One less job for me to do! 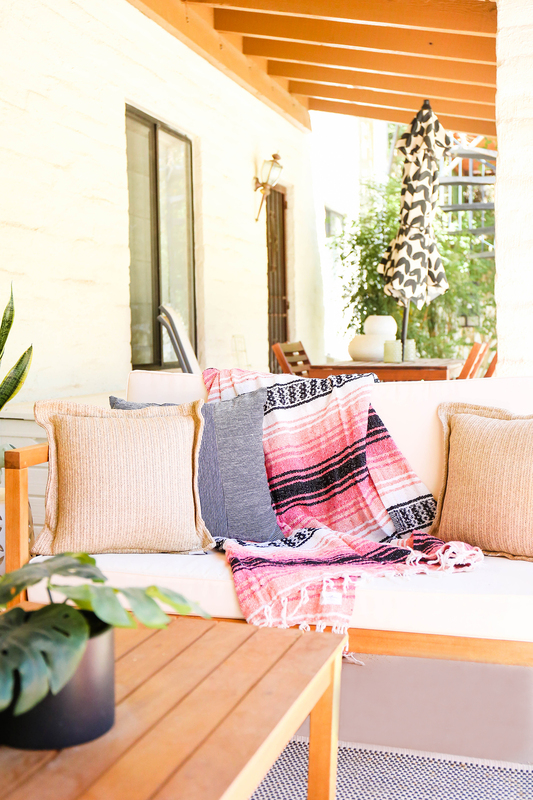 We’ve been spending our afternoons and evenings outside lately and this Mexican blanket has been one that V and I have been snuggling under when it’s time to roast marshmallows! I don’t know how I have lived in southern Arizona for three years and never managed to pick up a serape blanket, but it was about time! I was really digging this pink and blue version when I saw them go on sale on Jane. I was this close to buying two more in different patterns. It’s probably going to happen! But I wish I would have bought them when they went on sale in the first place, because who knows how long it will be before their website is graced with more colorful Mexican blankets! 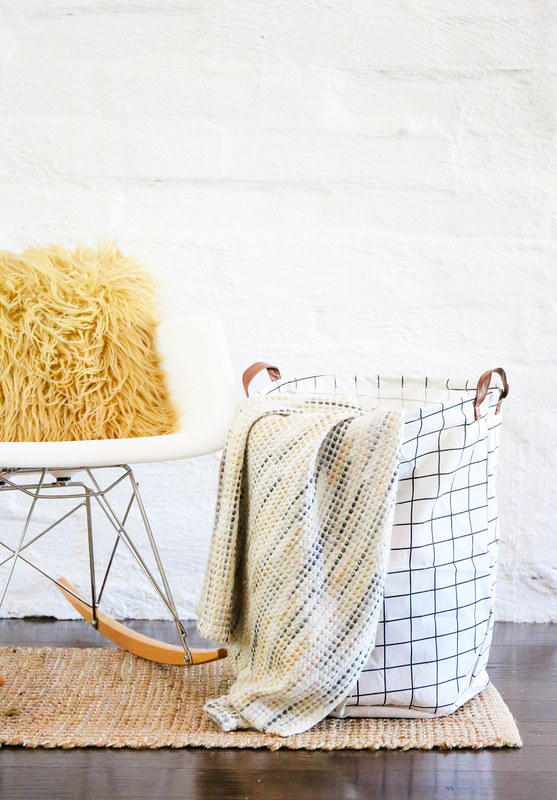 These are just a few of my fave home decor buys as of late, but you can bet that I’m checking the site daily to see the new finds that just went live. Are you a Jane shopper? It’s really popular with some of my Utah and Arizona friends, so if you’re from the area, you know what’s up! 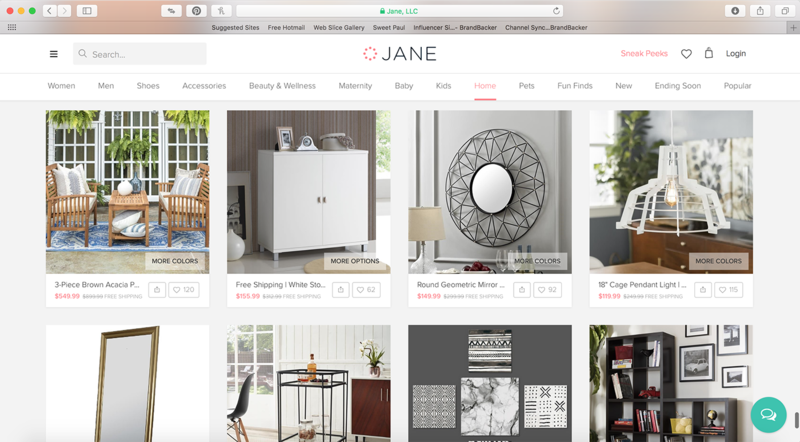 Check out Jane and let me know what things you’ve got your eye on! 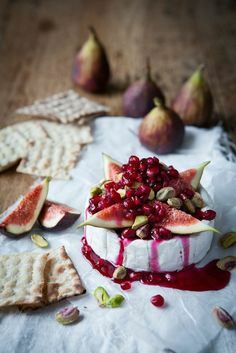 ** This post is in partnership with Jane, a boutique marketplace that believes in bringing beautiful items to homes and people at beautiful prices. Thank you for supporting the brands that help PROPER keep creating! #WhatILove \\ I’m The Brickyard Buffalo Guest Editor This Week! Love everything! I look at the Jane app everyday. I’ve eyeing the canvas bins and Mexican blankets. 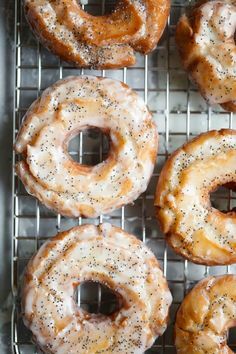 Definitely going to get some now. I love that patio furniture! And they actually are selling more mexican blankets and bins like yours! 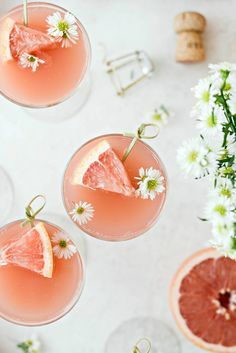 I just bookmarked a really pretty coffee table that I’m emailing my husband. Thanks for the tips! I am in LOVE with jane. I too have a few mexi-blankies from Jane! They are the best. Of course they don’t look quite as pretty in my yard as they do in yours. Haha! I am going to have to keep my eye out for those baking mats! I am a huge fan of Jane for clothing! Looks like I need to check out their home decor as well! Jane is my favorite! From the cute tees, to dresses and work clothes Jane is always my first place to look! I may need to get some of those blankets!